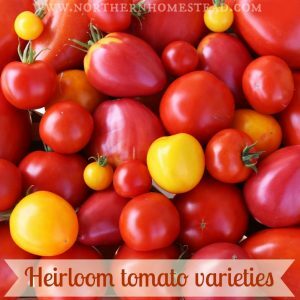 After a long, cold winter we can’t wait to get out into the garden. Often though there is not much to do or look for in early spring. That is, unless you are growing winter carrots in cold climate. 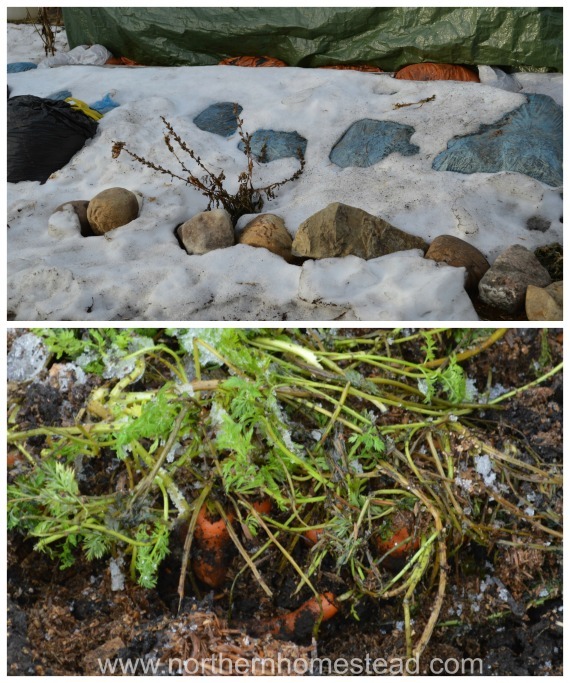 Harvesting carrots is the first task at our Northern Homestead garden as soon as the snow melts. 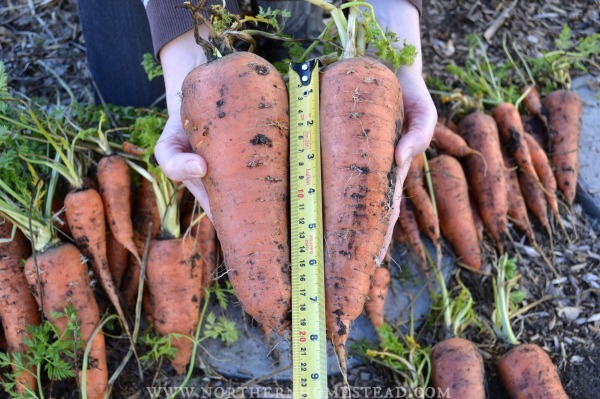 In a cold climate (zone 0-4) you can’t really “grow” carrots in the winter. 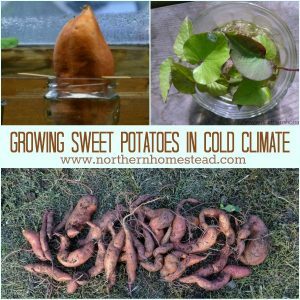 But we can preserve them in the ground till spring and enjoy fresh winter carrots from the garden just as gardeners in warmer zones can. We have been doing this successfully for three years now, and this year I took my camera with me to bring you along for the fun. To watch the video on YouTube go here. 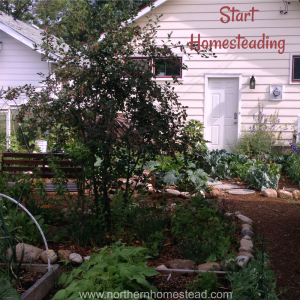 Early spring is a good time to plan your summer garden. 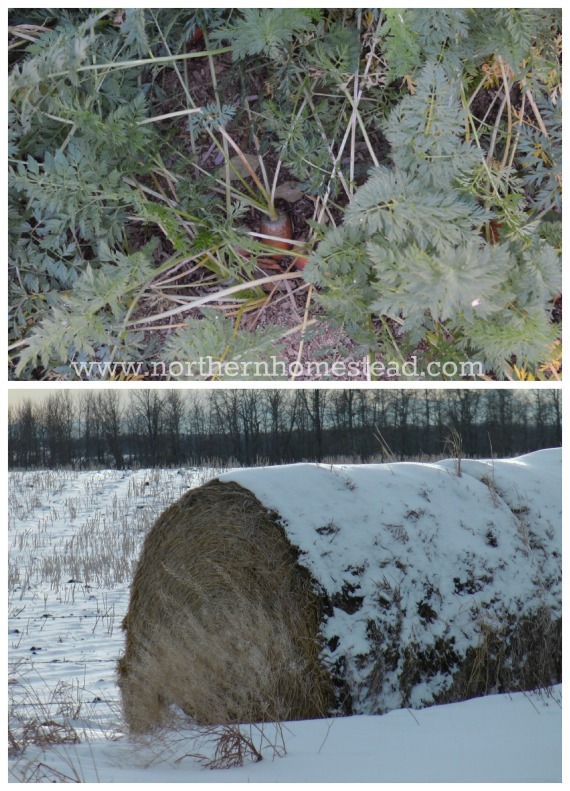 For winter carrots you want a spot that has a lot of snow in the winter either naturally, or it would be easy to accumulate snow because it is close to the house or a driveway. Snow is one of the best natural insulators. 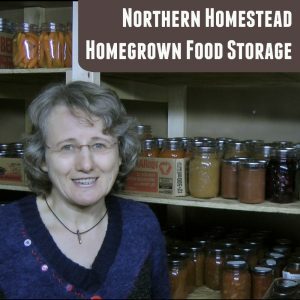 You also want a place that is accessible in winter conditions so that you can harvest the last carrots in late fall and then cover the rest to harvest in the winter or in very early spring. 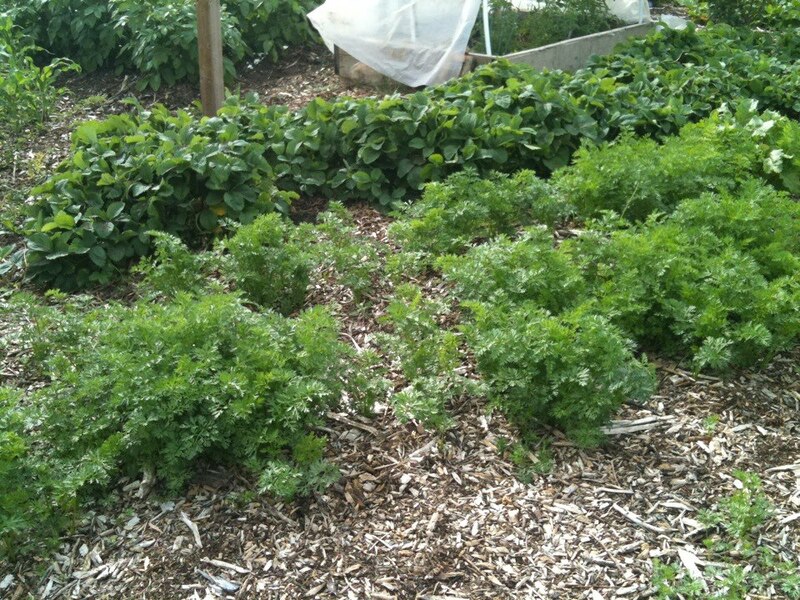 Also, carrots like a sunny location to grow to their best. Winter carrots need to be planted about 12 weeks before the first frost date. We will not harvest them at that time, but they do have to be mature then. 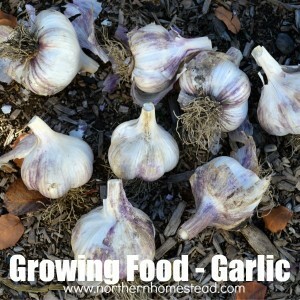 For a short season grower I find planting them during the normal spring planting time works best. 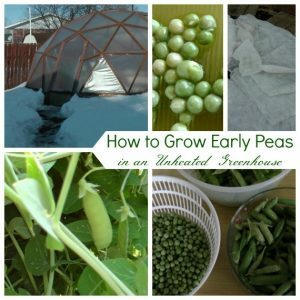 If your growing season is a lot longer than 12 weeks, start them a bit later but don’t wait till fall. Carrots will not grow in the winter, they will just stay fresh. 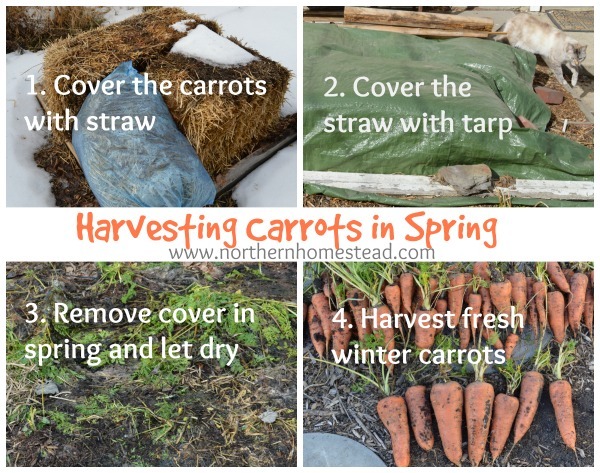 In late fall, once you have harvested all the carrots you wanted to, cover the rest with a good layer of straw or leaves. If you are in zone 4-5 and have a lot of snow, mulching with leaves could be enough. The colder your winter, the more protection you will need. We consider our garden to be zone 3-4. It is very sheltered and seldom goes down to -40 degrees. 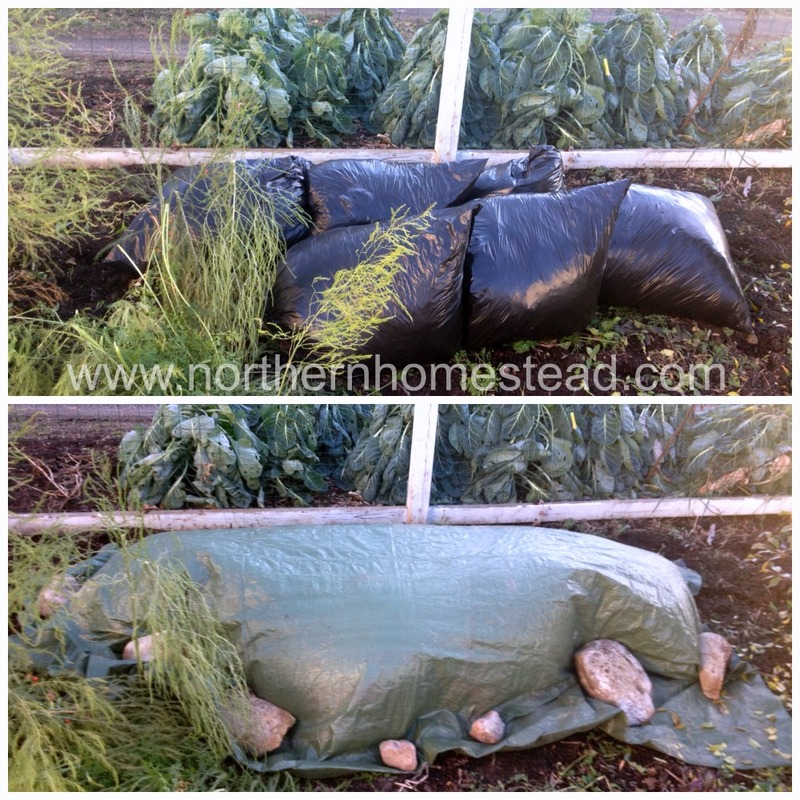 For us bags filled with straw or leaves, plus a cover of tarp, is all that is needed. The tarp protects the carrots from moisture. If you are in an open field, you will need more covering. A local farmer covers his winter carrots with bales of straw. Of course he works with his tractor though ;). Winter carrots can be harvested all throughout the winter. 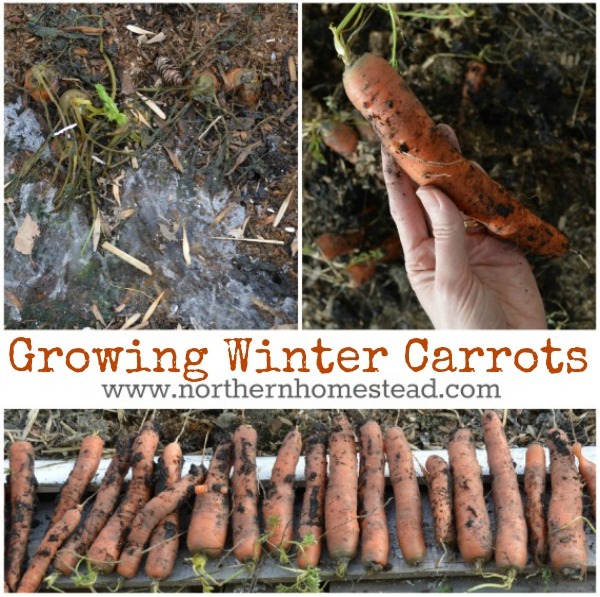 Here we share our first experience of harvesting winter carrots in January. I personally do not enjoy working in the garden during freezing temperatures, so we just leave them till spring. But you have to harvest them before the carrots could start growing again. Carrots are a biannual plant. They grow a root in the first year, and grow seeds in the second year. Second year carrots are no good for eating. As soon as the snow melts, and you want to be out in the garden, harvest your last carrots while they are still dormant. 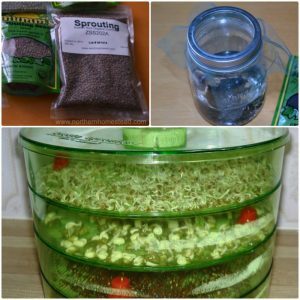 This way you will get crunchy, sweet carrots from your garden before anything else can be grown. And still missed some, because I got a lot of volunteers! Interesting, we get volunteer potatoes here in zone 3, too. Makes one wonder how much is possible.